What an amazing weekend at the Dressage Getaway Show (Thermal)! Barnaby Wilde GCF got a 78.750 and 75.179 to win both of his training level classes. Not bad for his his second show ever! Wendigo debuted at 4th level and placed third with a 66.571, and Krisi rode all of the horses with Bert Rutten who was in from the Netherlands to provide some schooling. Arlo had some amazing piaffe, passage and pirouettes. What a great start to the 2014 season! We are always in the thick of the action with shows, clinics, sales and barn events. Check here to keep with Kristina and the team on all of the latest happenings. 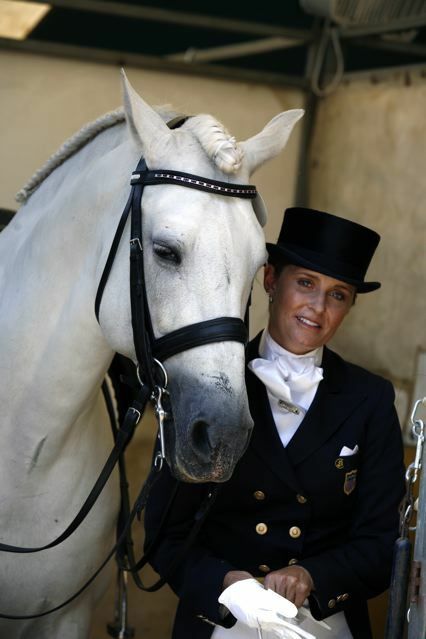 You can also follow Kristina Harrison Dressage on Facebook.